These beautiful candles are designed and crafted in the holy and mystical city of Tzfat, Israel. Its colors are shades of blue and white going in gradient form beginning with the darkest shade at the bottom. Candles are shaped in a tapered form. 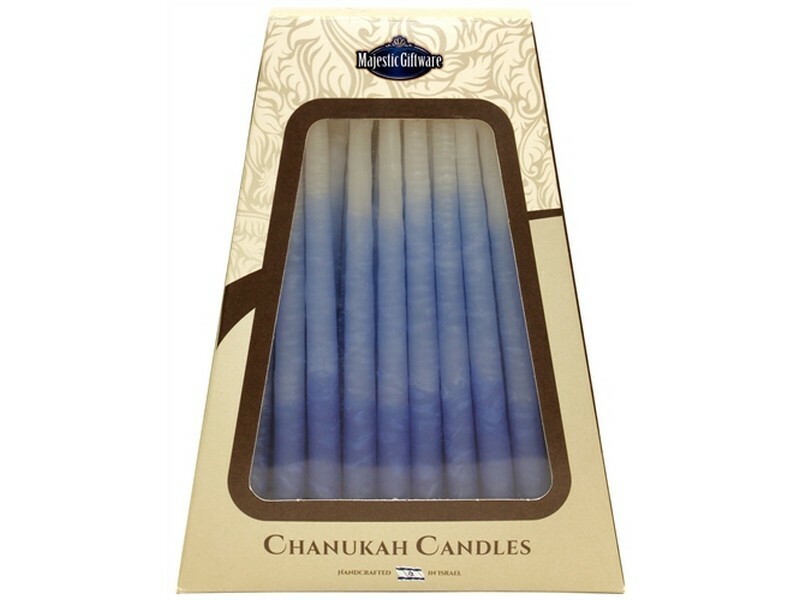 Perfect for Chanuka or any other occasion, these candles come in beautifully shaped box and contain 45 candles. Candles burn for 6 hours.